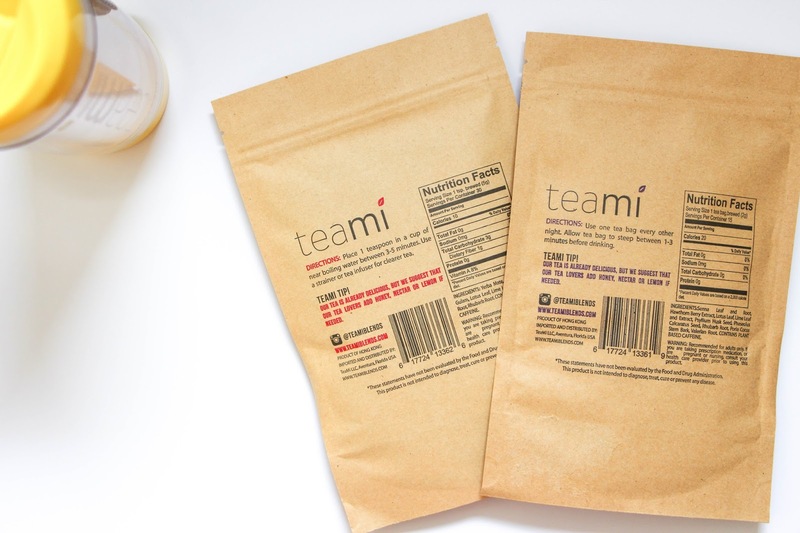 Around 20 days ago I started my Teami Blends 30 Day Detox Program and I thought it was about time to give you a little update on how things are going and then, when I finish this journey, I will let you know all the results and final thoughts! 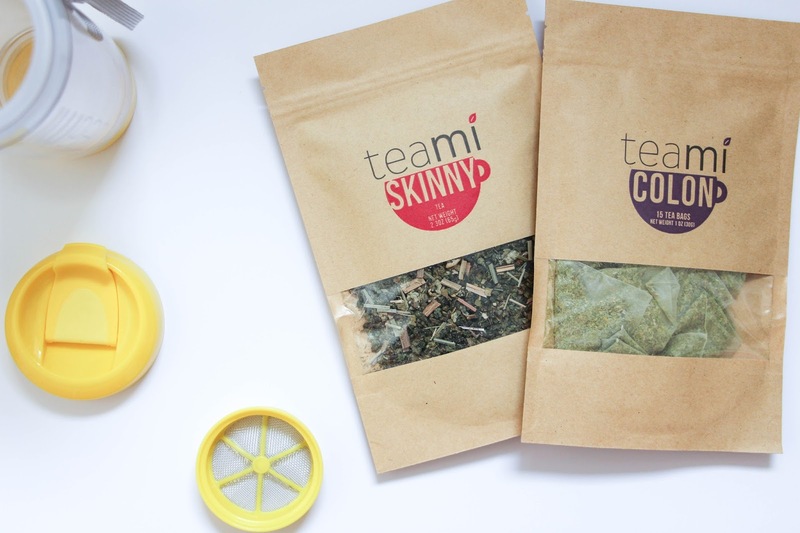 Basically what this 30 Day Detox includes is two different teas – the Skinny Tea, that you have every morning and will give you an energy boost, eliminates any bloating sensation and really just gets you ready for the day and the Colon Tea that as the name says, will cleanse your body from all the toxins just by making you go to the toilet, literally! I am not a big fan of teas and this is something that I said when I was contacted by Teami Blends. Yet, they reassured me saying that the teas were really tasty and you can actually add some lemon or other fruit to add some sweetness without the need of sugar. I actually just put 1/4 of a lemon juice and throw it in there together with the tea and I absolutely love how it tastes! The Skinny Tea is a mix of several tea leaves that are combined to give you an energy boost and will really improve your productivity during the day – at least it is what it does to me. I have the Skinny Tea every morning, before breakfast as per all the instructions that you can find in the package. Then I have a light breakfast – a banana, yogurt and granola, a smoothie bowl or something very light and fresh and I am ready to go. The Colon Tea, I have every other day at night before going to bed. This is the tea that will cleanse your body from any toxins that have been sitting there for ages from all the processed and fried food that we can have. The first few days I had cramps that were actually very uncomfortable but then my body got really used to it. I have noticed that, for me, the tea takes around 12h to do its thing so I kind of know when I will need to go to the toilet and I can just work it out for when I am working at the hospital – no one wants to run to the toilet during a medication round, right? I leave the tea bag for around 2 or 3 minutes as if I leave it for longer, I will have a lot of cramps and I literally need to run to the toilet. The longer you leave the teabag for, the stronger effect it will have. You just have to find what works for you. Be aware that the Colon Tea alters the absorption of any food or pills you have after drinking it so if you are on the birth control pill like I am, you might want to have the pill just a couple of hours before having the colon tea just to make sure that it is completely absorbed before you drink the colon tea or else the efficiency of the pill can be reduced if you have it at the same time as the colon tea and so there might be a probability of getting pregnant if you aren’t careful with that. Until now, I have add no problems at all – I have my pill around 9pm and my Colon Tea around 11.30 pm to be sure that my body had time to absorb the birth control pill and to maintain its efficiency – getting pregnant at this time of my life is not on my plans. Overall, I have to say that I feel full of energy since I have started this 30 Day Detox Program with Teami Blends. Also, my skin is much smoother and just healthier, specially on my face. I notice such a big difference on that! Weight wise I can’t say I have noticed a big difference but I have also not changed my diet at all. I do try not to have processed, fast or fried food but I can’t say that I have totally eliminated that from my diet because I didn’t. I will continue to avoid it and I will let you know how things worked out in the end. For the last week and a half I have started to exercise two to three times a week (depends on how many days off I have) and until now, not many changes were noticeable but I am controlling my weight so by the end of this program I will be able to tell you more! Use my code LISAWORLD10 for 10% Discount at checkout on any of the products or bundles. Also, I would love to know if you are or want to do any detox and why would you opt to do it!